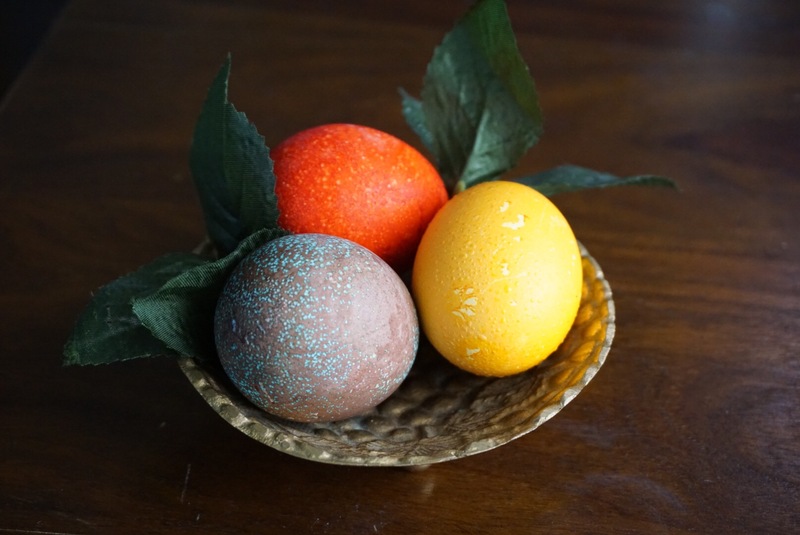 This Easter DIY is super simple and uses things you may already have in your kitchen. When you dye Easter eggs with kool-aid you won’t have the stinky vinegar smell which means the kids will want to help even more! First boil your eggs and let them cool. Put 2/3 cup of water into each of your containers. Empty one Kool-aid packet into each container. Once you put the eggs in you only need to leave them in the coloring for about 5 minutes. It really doesn’t take long before you start see them change color. Use your spoon or scoop to take them out and let them dry for about 10 minutes and you’re all done! Easy as pie, Enjoy!